The nights are getting colder, the rain showers more frequent, and the sun is dropping just that little bit sooner every day. Sorry to paint such a gloomy picture, but we’re realists at Apache. It’s also why we stock the best in AW17 outerwear from some of Britain’s top brands. These outerwear items are mostly lightweight, ideal for September thru November when temperatures are still on the mild side. But you can always use these as an extra layer when the serious winter cold hits. 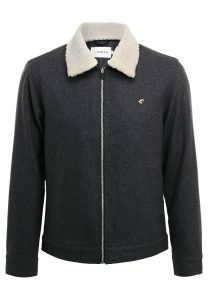 We’re also whacking on a 10% discount on all coats, jackets and knitwear. Just use the offer code OUTER17 at the online checkout for a great deal on all our AW17 outerwear. There’s a novel “front pouch” on this Lyle and Scott jacket, sealed by a button and large enough for a paperback book or phablet. The showerproof and super-lightweight, this is more of an all-year-round garment that comes into its own during the colder, wetter months. The design forgoes a fleece lining for a netted material, much like a technical raincoat. You can even tighten the hood and waistband for when the elements turn nasty. Already one of our best selling pieces of AW17 outerwear. We love our Merino wool knitwear at Apache, and for good reason. The legendary fabric is found only in a particular breed of sheep in Australia, making it a highly sought-after material. Not only does Merino boast a remarkably light weight due its fine gauge, but it keeps you warmer than any man-made fabric. 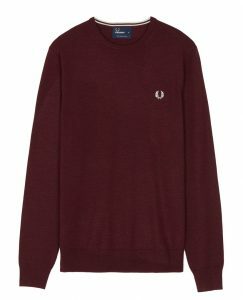 Never one to cut corners, Fred Perry use 100% Merino wool for their stunning AW17 jumpers, available at Apache in four popular colours: Mahogany Marl (pictured), Dark Carbon, Graphite Marl, and Dark Chocolate. This garment is a perennial favourite of our customers (who rave about how well it washes) year after year. Farah’s acclaimed Otley jacket makes a return for AW17, with its signature detachable “Sherpa” fleece collar looking as swish as ever. The Melton wool mix fabric has a distinctive feel, ensuring lightness and warmth in equal measure — as well as toughness and durability. There’s also a thin wadded lining to give a touch more comfort without being too bulky. Expect this jacket to be your best friend as you brave the elements this Autumn/Winter. 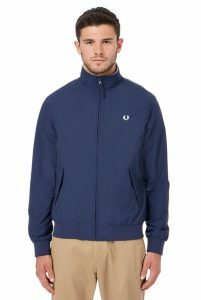 Our returning customers just cant get enough of Fred Perry’s Brentham jacket. We’ve been running it for years — in fact, its probably our most popular bit of outerwear. All the basics are covered in style, with a lightweight fleece lining, twin tipped knitted collar, showerproof Polyamide shell, two zip pockets, and a classic funnel neck for added protection against wind and rain. 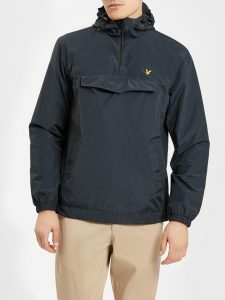 The plain design means you can match the jacket with almost anything, be it a pair of dark jeans or smart chino trousers. Available in Carbon Blue (pictured) and Black. We hope you like the look of our AW17 outerwear. Don’t forget to use the offer code OUTER17 for a 10% discount at online checkout! NextGrab Our Last Remaining Sale Items!